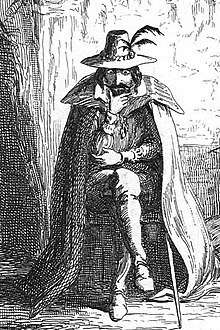 Guy Fawkes (13 Aprile 1570 – 31 Januar 1606),[lower-alpha 1] an aa kent as Guido Fawkes, the name he adoptit while fichtin for the Spainyie, wis a member o a group o provincial Inglis Catholics who planned the failed Gunpouder Plot o 1605. ↑ Dates in this airticle afore 14 September 1752 are gien in the Julian calendar. The beginnin o the year is treatit as 1 Januar even thou it began in Ingland on 25 Mairch.